Canned black olives may contain chemicals that turn them black artificially. <strong>Kalamata</strong> is a large, black olive, named after the city of Kalamata, Greece, used as a table olive. 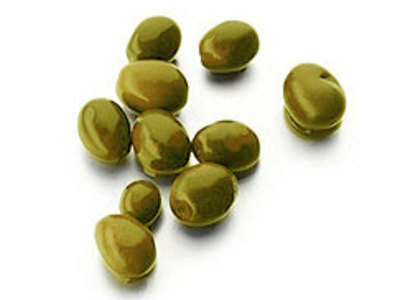 These olives are of a smooth and meatlike taste. <strong>Empeltre</strong> is a medium sized, black olive grown in Spain. They are used both as a table olive and to produce a high quality olive oil. Green olives are allowed to ferment before being packed in a brine solution. Black olives are not fermented, which is why they taste milder than green olives. <strong>Picholine</strong> originated in the south of France. It is green, medium size, and elongated. Their flavour is mild and nutty.